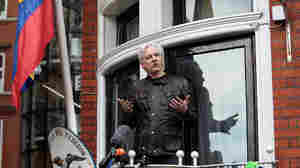 April 12, 2019  Assange was arrested Thursday after the Ecuadorian Embassy in London said he was no longer welcome. But what happened to the self-proclaimed master of "counter-purrveillance?" How Much Did WikiLeaks Damage U.S. National Security? 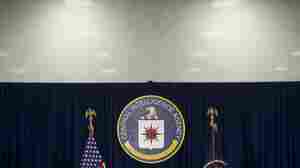 April 12, 2019  This question has been a source of debate since the group published hundreds of thousands of U.S. military documents and diplomatic cables in 2010, many related to U.S. wars in Iraq and Afghanistan. November 17, 2018  One minute, Seamus Hughes was reading the book Dragons Love Tacos to his son. 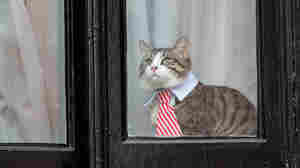 The next minute, he stumbled on what could be one of the most closely guarded secrets within the U.S. government. November 16, 2018  The document, part of an unrelated case, notes it's important "to keep confidential the fact that Assange has been charged." 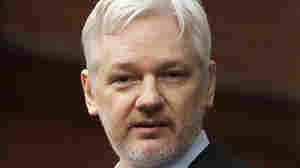 The Justice Department says the WikiLeaks founder's name was used in error. 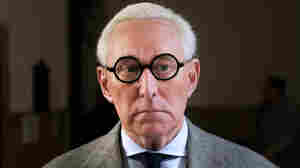 May 22, 2018  Self-described "dirty trickster" Roger Stone says that he is ready for an indictment but that congressional and Justice Department investigators won't find any wrongdoing. May 20, 2018  Stone said he could be under investigation by special counsel Robert Mueller for alleged crimes unrelated to his role in the 2016 presidential election. 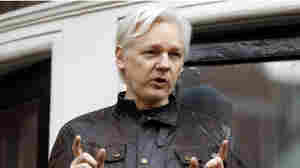 January 11, 2018  Assange, the founder of Wikileaks, originally sought refuge in an Ecuadorian embassy to avoid extradition to Sweden. That case against him has been dropped, but he continues to stay there. 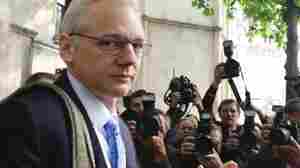 May 19, 2017  The WikiLeaks founder has been at the Ecuadorean Embassy in London to avoid extradition. Swedish prosecutors halted the probe, but London police quickly said they'd still enforce their arrest warrant. May 5, 2017  Laura Poitras began filming the man known for cyber-releasing classified documents in 2011. Critic John Powers says the resulting documentary is an intimate take on an enigmatic rebel. March 9, 2017  WikiLeaks on Tuesday disclosed the hacking tools from the so-called Vault 7 series. 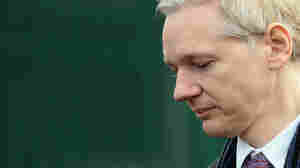 Now Assange says his group will be working with big manufacturers to develop fixes. 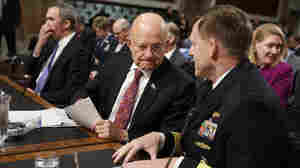 January 5, 2017  A Senate hearing on the cybersecurity threat comes as intelligence agencies prepare to issue their report on Russia's involvement in the fall presidential campaign. 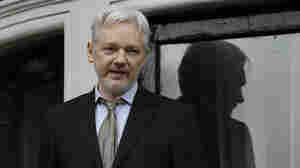 November 14, 2016  The WikiLeaks founder has spent years in the Ecuadorean Embassy in London, to avoid extradition for questioning over alleged sexual misconduct. 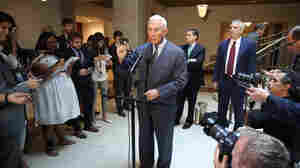 Now he's taking questions after all — at the embassy.